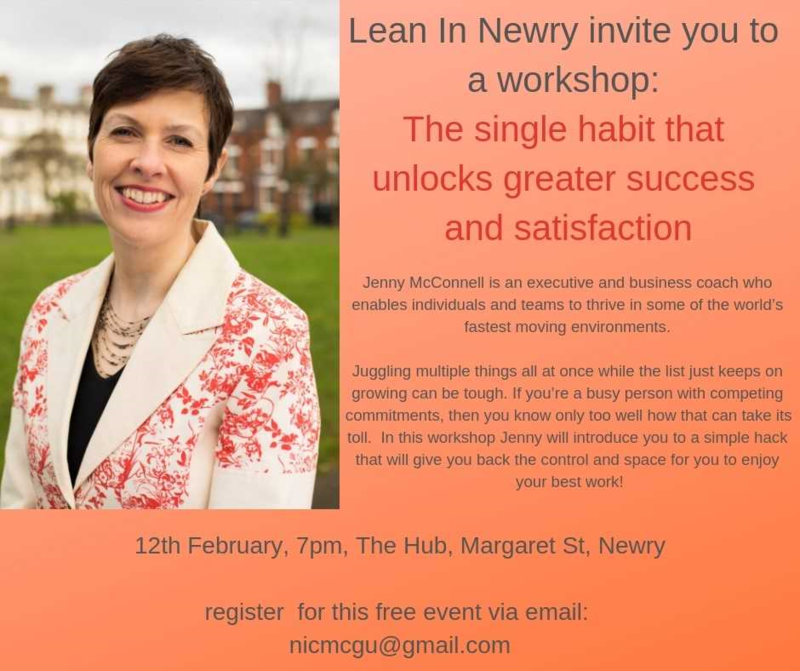 Lean In Newry Workshop – The single habit that unlocks greater success and satisfaction! Newry BID in partnership with Intertrade Ireland invite members to Lean in Newry workshop on Tuesday 12th February at 7pm in The Hub Newry, Margaret Street. Local and like-minded women supporting each other through advice, and encouragement to enable them to achieve their dreams, overcome challenges and to become the best that they can be.